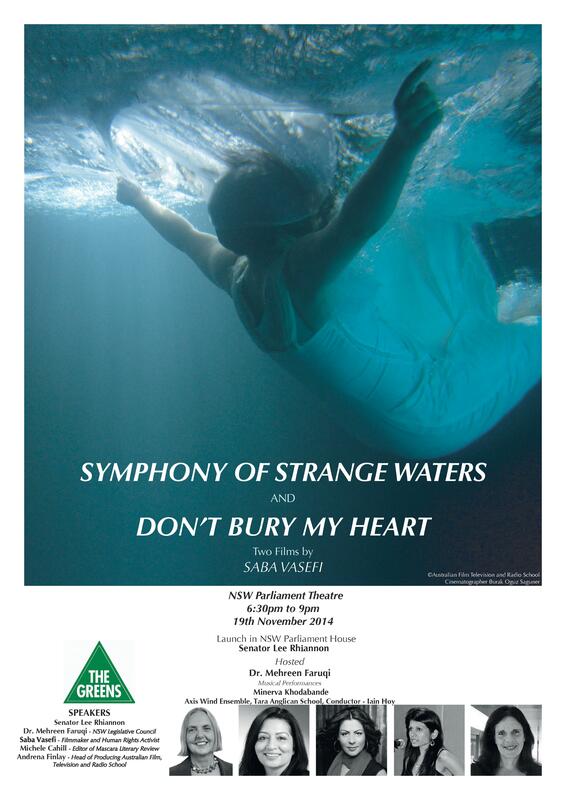 I’m honoured and pleased to be speaking at the launch of Symphony of Strange Waters, a film by Iranian poet and activist, Saba Vasefi. Saba’s work addresses sensitive and critical subjects such as child execution in Iran, migration, violence against women and human rights abuse against refugees. Her Masters degree was in Feminist Literary Criticism. She completed her postgraduate degree in Documentary at The Australian Film TV and Radio School. Her films have been screened by the BBC, the UN, Amnesty International, The Copenhagen International Film Festival, SOAS University, University of Oslo, Dendy Opera Quays & Seen & Heard Film Festival. Saba’s work is confronting and humane, traced in the fragile motifs of personal trauma and collective shame. This event is open to the public.